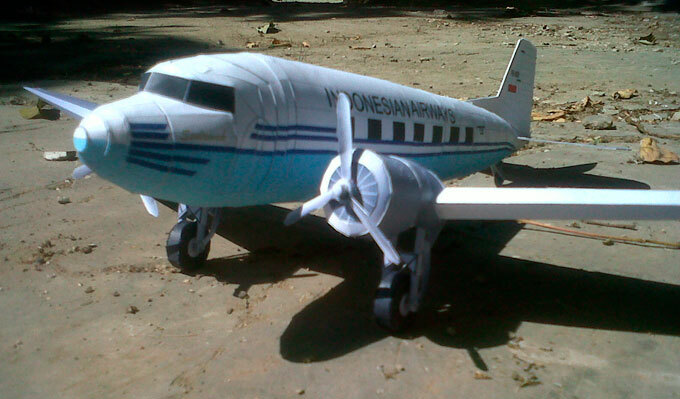 Seulawah - DC-3 Dakota Paper Model	. This beauty is the latest release from ZRP Papercrafter. 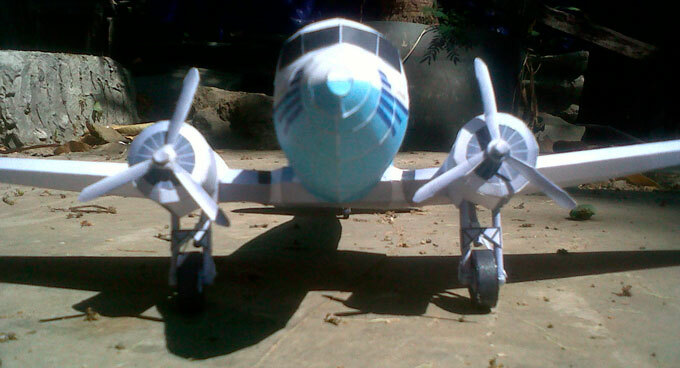 This time Dani made a DC-3 Dakota aircraft paper model. 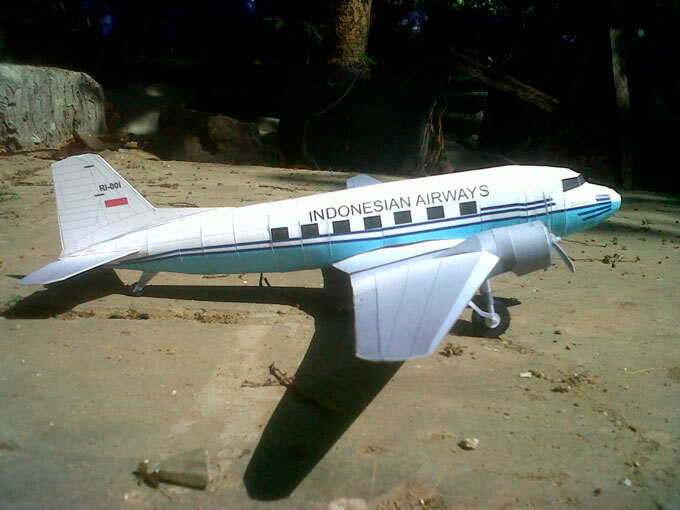 This plane use RI-001 Seulawah color theme, Seulawah means Mountain of Gold. It was named by that word because It was purchased with 20 kg of gold donated by people of Aceh in 1948. Because of the second Dutch military offensive (Operation Kraai 1948-1949) this plane was not able to return home, so it was use as an airliner plane based in Burma, now Myanmar. DC-3 Dakota is a civilian version of C-47, it's military cousin. This model use 1 : 75 scale.